Whether you’re in food service, maintenance, technical support, or others, when you need slip-resistant uniform work shoes, make sure they’re comfortable. 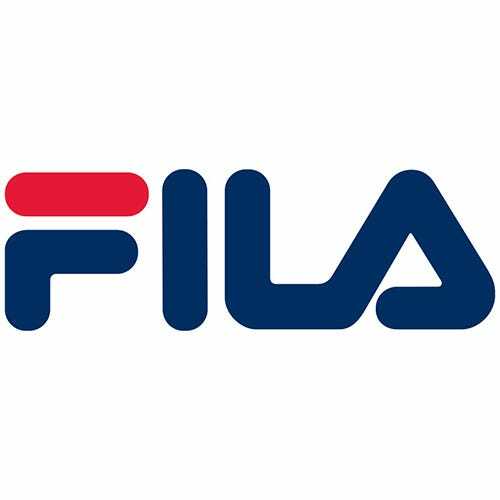 For years, Fila has been known for their lightweight, flexible, and supportive athletic shoes, and they've ... (see full details) (see specifications) #1SH40205-001. Whether you’re in food service, maintenance, technical support, or others, when you need slip-resistant uniform work shoes, make sure they’re comfortable. For years, Fila has been known for their lightweight, flexible, and supportive athletic shoes, and they've rolled that technology into these durable, made to work Fila Men’s 1SH40205 001 Black Memory Breach Slip-Resistant Work Shoes. When you need all-black work shoes, Fila makes them look as good as they feel with a smooth design and plenty of comfort built right in the footwear. This pair has been tested in accordance with the applicable industry standards, including ASTM F2913-11. The slip-resistant outsoles are designed to help prevent slips and falls, but please be aware that these aren't completely slip-proof. Always exercise caution on slick or wet surfaces. The smooth black uppers are professional and clean looking with the slightest edge of style added. The lace-up design allows you to customize your fit, while the padded collars protect your comfort around your ankle. The slip-resistant outsoles are attached to the uppers with cement construction, which is much lighter in weight than it sounds! This flexible hold allows the black shoes to bend with your feet for the most flexible fit. Meeting ASTM F2913-11 standards for slip resistance, the outsole design is made to keep you moving confidently throughout your work day. When you’re in the kitchen and the heat is on at work, you need to keep your cool under pressure. Whether you’re the chef or the server, you'll appreciate the cooling qualities of these durable slip-resistant men's shoes. The insoles are lined with CoolMax fibers on the interior to keep the temperature just right inside the Memory Breach shoes. Using patented technology from Invista, the CoolMax linings manage your sweat so the moisture is released rather than captured, allowing the body heat it carries along to escape as well. This helps in keeping your feet cool all day as your work. Memory foam style support your feet and promote air flow underfoot with each step as this high rebound foam refreshes its cushion each time you lift your feet. When you're on your feet all day and hitting 10k steps well before dinnertime, you need supportive and cushioning slip-resistant footwear like these Fila shoes. For the perfect lightweight all-black uniform shoes with slip-resistant outsoles, these Fila Men’s 1SH40205 001 Black Memory Breach Slip-Resistant Work Shoes from Working Person's Store are ready to get to work. With plenty of experience in lightweight comfort, Fila is a great brand to bring you that same style to your workplace as well as the gym. Fila Shoes: Men's 1SH40205 001 Black Slip-Resistant Memory Breach Work Shoes is being added to your cart.